i have a 03 blue wrx trunk with wrx wing. looking to trade for sti wing. I have a 2005 wrx wingless trunk that is in excellent condition. Still has all the emblems in tact. I prefer to meet in the san jose area. Here's my email [email protected] or you could pm me. Last edited by SubyN00by; 06-22-2007 at 01:04 AM. 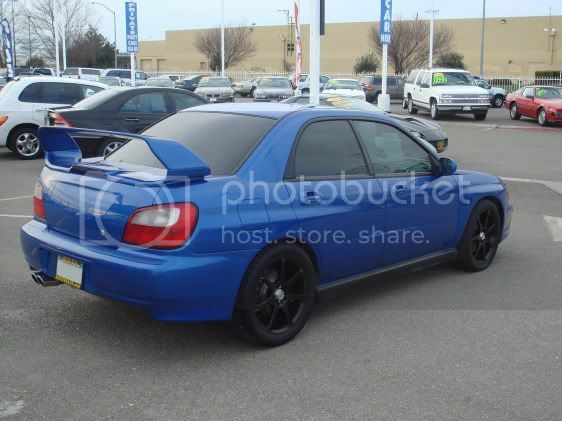 Have: V.7 STi wing, debadged trunk with some scratches. I have a 04 aspen white STi trunk with wing. Looking to trade for wingless or wrx trunk with wing. Located in San Jose, CA. i have an 03 psm wrx wingless trunk for trade for a cf trunk. + cash on my side of the trade. so my trunk and cash for your cf trunk. im in the bay area so anyone!